If there is one very unique thing about the Weimaraner it would be its being an all-purpose gun dog. It is fully capable of pointing, flushing, and retrieving game – a trait shared only by a handful of gun dogs. Originally bred for assisting members of the royalty hunt large game like deer, boar, and bear, the decline of royalty hunting has led to the Weimaraner’s use in the hunting of smaller animals like foxes, fowls, and rabbits. Still, it is a very formidable opponent from a prey’s point of view. As such, if you have a Weimaraner it is imperative that you pay close attention to its nutrition needs, especially if you’re also using it for hunting. Thankfully, our team has come up with a comprehensive guide to help you narrow down your choices of the best dog foods for Weimaraners and we’ll start it off with our own top 5. 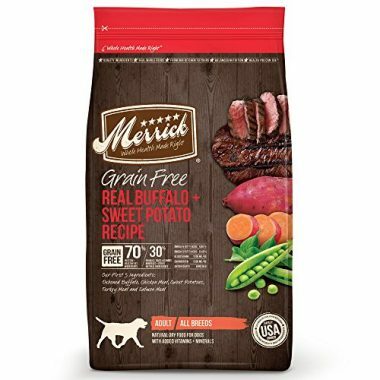 Featuring a remarkable 70% protein composition to go with a 30% other all-natural ingredients, the Merrick Grain Free Dry Dog Food in Real Buffalo Sweet Potato Recipe should be a delectable and nutritious meal for your growing Weimaraner. It has a good balance of vitamins, minerals, and nutraceuticals that promote optimum muscle, bone, and joint development. 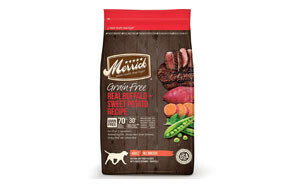 The amino acids and fatty acids contained in the Merrick Real Buffalo should help your Weimaraner strengthen its muscles, improve its immunity, and boost its nervous system functioning. Plus, the delicious flavor of real buffalo meat that has been efficiently deboned is something that your dog can look forward to. Add salmon and chicken and it becomes a healthy feast. It doesn’t matter if your Weimaraner is a puppy, an adult, or even a senior. 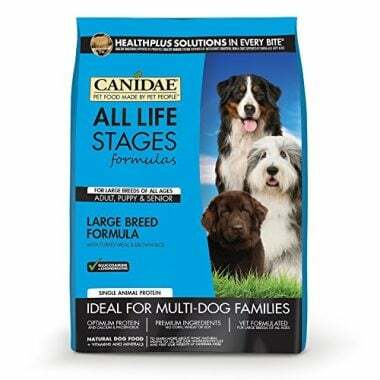 With the CANIDAE All Life Stages Formulas for large breed dogs you can actually feed an entire family of Weimaraners from puppies all the way to the older generations. Each kibble is formulated with just the right amounts of calories and the right proportions of proteins, fats, and wholesome carbs to support your dog’s growing and maintenance needs. The inclusion of prebiotics and probiotics helps ensure all of the nutrients that are included in the CANIDAE are properly absorbed and utilized by the different cells in your dog’s body. As CANIDAE puts it, this formulation is ideal for families with multiple dogs. 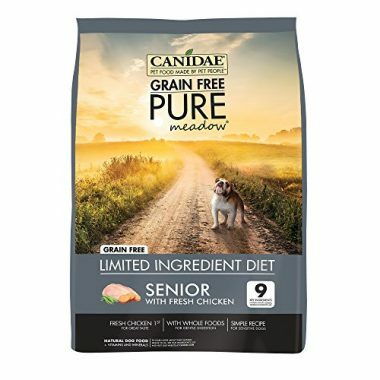 The CANIDAE Pure Meadow Limited Ingredient Diet is especially tailored for your senior Weimaranener that may already have reduced efficiency digesting food ingredients in its tummy. The formulation only includes fresh chicken that your hound will love. Also added are turkey, sweet potatoes, potatoes, peas, and chickpeas which are all easily digestible ingredients. Aiding in the digestive function of your older Weimaraner are probiotics and prebiotics. Glucosamine and chondroitin is also added into the formulation to help maintain the joints and prevent excessive inflammatory changes that are typical of older dogs. It has a much higher protein content than the CANIDAE All Life Stages to help maintain muscle mass in your aging Weimaraner. The presence of omega fatty acids also help improve your dog’s immunity, reducing the likelihood of infections and inflammatory conditions, promoting healthier aging for your pet. Formulated with non-GMO ingredients, the Nutro Wholesome Essentials Adult Dry Dog Food for Large Breeds is a great diet to give to your healthy grownup Weimaraner. Its Chicken, Rice, and Sweet Potato recipe features farm-raised chicken so you’ll feel more confident about the quality and safety of the animal proteins that you are giving to your pet. This should easily translate to more-defined, well-toned, and stronger muscles, perfect for hunting prey. The use of brown rice and sweet potatoes gives your pet the energy that they need to run after prey without the pitfalls of other grains like corn, wheat, and soy. 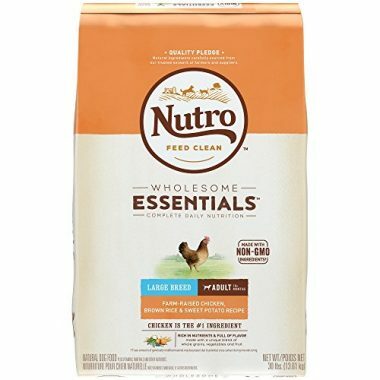 It may have the lowest protein and calorie content in this list, but Nutro’s Wholesome Essentials can be trusted to deliver the right amounts of nutrients, immune-boosting fatty acids and vitamins, and joint health-promoting nutraceuticals. 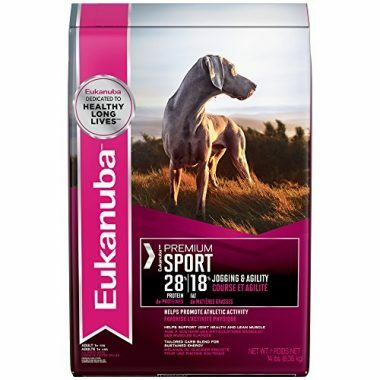 If you’ve got a really active Weimaraner that you bring with you in your hunting trips, serve as your pointer, flusher, and retriever all at the same time, then you’ll need Eukanuba’s Premium Sport Active Adult Dry Dog Food. It may not be entirely grain-free, but your dog should benefit a lot from its great mix of premium quality chicken and other wholesome, high-quality ingredients to give you a more nutritionally-balanced meal for your active dog. Its 28-28 formulation of proteins and fats is ideal for agile running dogs, giving that boost and stamina to run after game. 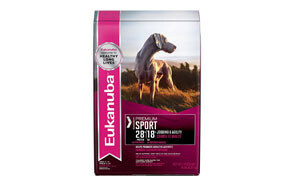 Helping with locomotion is the now-standard blend of chondroitin and glucosamine which works well with calcium and other minerals and vitamins provided by the high-quality ingredients of the Eukanuba Premium Sport Active. Weimaraners are known for their energy and alertness, two of the most important qualities of a gun dog or a hunting dog. Their classification as an all-purpose gun dog implies that they need to have exceptional scent- and visual- tracking capabilities. They also need to have exceptional stamina, agility, and speed to run after game. Their agility and intelligence are also needed for flushing game out of their respective hideouts. And lastly, they need to have gentle jaws to pick up game without crushing it in their mouths. With all of these requirements for a true-blue all-around gun dog, it is imperative that you give only the best dog food for them. On a more general sense, the nutritional requirements of Weimaraners are not really that different from any other dog. However, when we talk about the details, there are certain areas that are quite specific to Weimaraners especially if you have one that is bred specifically for hunting. But if you have a dog that is more of a pet than a working dog, then its nutrient requirements may differ. Here are the nutritional needs of Weimaraners. Like any dog, the Weimaraner requires exceptionally high-quality proteins. And while some plant foods also provide protein, these often come with incomplete amino acids which are crucial building blocks to many tissues in the dog’s body. As such, the principal ingredient of a high quality dog food for Weimaraners should be animal proteins. Barring any food sensitivities, chicken, beef, and pork are always excellent choices. If your pet has allergies, then novel animal proteins may have to be provided to help minimize hypersensitivity reactions. Turkey, buffalo, salmon, and other ‘unconventional’ animal-based foods provide exceptional animal-based high-quality proteins. Proteins are essential in many processes. These help build and strengthen muscles that are necessary for Weimaraners that are especially bred for sport hunting as well as other activities that require muscle strength. Proteins are also important in the production of vital structural components of the cells and tissues as well as antibodies and other cells of the immune system. Proteins, amino acids in particular, are important in hormonal mechanisms as well. Providing high-quality animal-based proteins to your Weimaraner is important in ensuring optimum health. Calories are not really nutrients but are unit measures of energy released from food molecules. Since all food contain energy, it is important to watch where these calories are coming from. Fats provide the greatest concentration of energy per gram of fat, about 9 calories. On the other hand, both proteins and carbohydrates provide 4 calories each for every gram of food. That being said, the calories contained in a single gram of fat is more than the combined energy provided by carbs and proteins. As such, it is important to look for food that has most of its energy coming from proteins, moderate from carbs, and low from fats. Energy is needed by your Weimaraner especially if it has a very active lifestyle. If you nurtured it to become more of a lapdog or a couch potato, then its calorie requirement should be reduced. Otherwise, you run the risk of developing obesity and its many associated complications including cardiovascular conditions. Weimaraners are especially prone to the development of tricuspid dysplasia. While this condition is congenital, diet can still play a role in its clinical manifestation. Calcium and phosphorus are vital for Weimaraners especially those that are involved in sports and high-impact activities. Even if your pet doesn’t participate in such activities, they are also prone to hip dysplasia and other problems of the musculoskeletal system. Providing them with enough calcium and phosphorus in their diets can help strengthen their bones and their articulations. This works well with glucosamine and chondroitin-enriched diets. Vitamins C, E, and A are also important especially for their antioxidant properties. Weimaraners are known to be especially vulnerable to entropion and corneal dystrophy. Providing antioxidant vitamins and minerals as well as other substances can help reduce the incidence of such conditions in your dog. We said that Weimaraners are prone to hip dysplasia. The addition of glucosamine and chondroitin in the diet of your dog can help strengthen the joint apparatus, promote optimum range of motion, and facilitate flexibility and pain-free movement. Even dogs that are not that active can also benefit from these nutraceuticals by promoting optimum joint health. So even if they are already old your dog will still be able to move as efficiently as a young hound. What is the Right Weimaraner Diet? Having discussed the nutritional needs of Weimaraners, we can now focus on what constitutes the rigt diet for them. The National Research Council of the National Academies provides guidance on appropriate feeding of dogs, including Weimaraners. According to the organization, a typical Weimaraner adult that weighs about 70 pounds should receive a daily calorie intake of about 1,688 calories. If your dog happens to be spayed or neutered, then the amount of calories will be slightly lower. Pregnant and lactating dogs will require higher calories as well as Weimaraners that are used in moderate to high-intensity activities. The 1,688-calorie recommendation is only for an average-sized adult Weimaraner with an average level of activity. A true work dog – intense physical activities – will command 3,751 calories worth of food every single day. Juvenile Weimaraners that weigh about 40 pounds will require about 1233 calories each day. Depending on the activity level of your Weimaraner you will need to give it moderate to high amounts of proteins, with the latter specifically geared for dogs that are bred for hunting and other physically demanding activities. For good measure, you can opt for a dog food that has a minimum crude protein content of 25 percent, if your pet is just the average hound. If it’s a real hunting dog, then you may want to give it a minimum of 30%. A lot of pet parents are especially wary about fat in their dog’s diet. Don’t be. As long as the fat content doesn’t comprise more than 20% of your pet’s diet, it should be perfectly fine. Fats are needed to help in the production of hormones and other molecules in the dog’s body. It’s also important for healthier coats and skin. The calorie requirement we mentioned above is computed on a daily basis. However, instead of feeding your Weimaraner only once, it is generally recommended that you feed adult dogs twice a day to help minimize bloating and its dreaded complication – gastric torsion. For puppies below the age of 6 months, a thrice-a-day feeding schedule should be observed. These recommendations are general, of course. That is why it is important to seek the advice of your veterinarian so that he can advise you on the exact amounts and frequency of feeding for your dog. Your vet will take into consideration your dog’s age, activity levels, any existing medical condition, and current life stage. 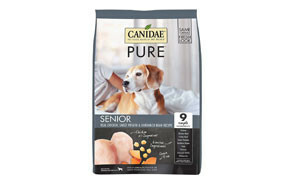 We really cannot help but overemphasize the need to look for dog food that contains high-quality, natural ingredients. Here are some of the ingredients that you have to look for and those that you have to avoid. We mentioned above that animal-based proteins should be the first on the product’s list of ingredients. While we don’t have issues with using plant-based proteins, especially if you’re considering going vegetarian for your dog, these lack some amino acids that your pet will need to build important tissues and substances in its body. Also important are vitamins and minerals, especially vitamin A, C, and E as well as calcium and phosphorus. These can help promote overall general health for your pet and can also work to prevent some of the health issues that are common in this breed of dog. Equally important are nutraceuticals like chondroitin and glucosamine. If you can get one that has MSM then you should include this in your buying decision. The thing is that these substances can help in promoting and maintaining optimum functionality of your pet’s joints. Essential fatty acids, especially the omega-3 fatty acids DHA and EPA can help provide for a healthier immune system, not to mention healthier cardiovascular, nervous, and integumentary systems. Look for those with prebiotics and probiotics, too. These can aid in more efficient digestion, minimizing problems associated with bloating, gastric torsion, and even food allergies. These also help strengthen the immune system. Anything that is artificial should always be avoided. If you see BHT or even BHA and ethoxyquin in the dog food label, then you should scrap this dog food from your list. If your pet happens to be especially sensitive to certain types of gluten and cereal grains like wheat and corn, then avoid these ingredients as well. Weimaraners are very tough and highly resilient sporting and gun dogs. They have muscular build and a really sturdy appearance. However, looks can be especially deceiving since this breed of dog is also known for the following health conditions. All dogs that are deep-chested are more prone to the occurrence of bloating. While the condition itself can be benign, it can lead to a more serious, often life-threatening condition, called gastric torsion. This results in the inward twisting of the dog’s stomach. This cuts off blood circulation and emergency surgery is often the only way one can avert demise. The tricuspid valve is a gate-valve that is located between the upper and lower chambers of the right side of the heart. It is a congenital defect that is mostly seen in Weimaraner puppies as well as other breeds of dogs. The tissues that make up the valve don’t grow normally so they are not able to prevent the backflow of blood from the lower chamber and back into the upper chamber. This can lead to easy fatigability in affected dogs. Weimaraners are also prone to skin allergies especially those brought about by ectoparasites such as ticks and fleas. Many of these are transmitted when dogs venture in the wild during hunting trips. In an effort to minimize the itching, they can scratch their skin causing secondary infections. This breed of dog is also known for developing eye problems such as entropion and retinal dysplasia. These are more genetic diseases causing the lower lid to fold inward and the formation of folds or rosettes in the retina of the dog. Retinal dysplasia can also be brought about by vitamin A deficiency and viral infections. These mostly affects the joints of the elbows and hips, hence the name. What happens is that there is a failure in the normal growth and development of the various tissues that make up the joint capsule of these body parts. Typical of middle-aged medium- and large-sized breeds of dogs, hypothyroidism is a condition that is characterized by hair loss, loss of muscle, sluggishness, cold intolerance, and very slow heart rate. 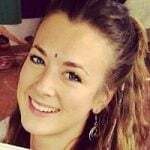 The problem is that the thyroid gland is not producing thyroid hormones as efficiently as it used to. Weimaraners are highly-trainable dogs that have been assisting hunters in their expeditions. They are highly adaptable and very friendly to kids, strangers, and even cats, too. And if you want to see your dog live its life to the fullest, then you can always start with a dog food that is appropriate for Weimaraners.